Private offices are an expensive addiction. Ask John DeHart, co-CEO of home health care provider Nurse Next Door. The company reduced office space while expanding from 28 people to 45 at its Vancouver headquarters last year. How? 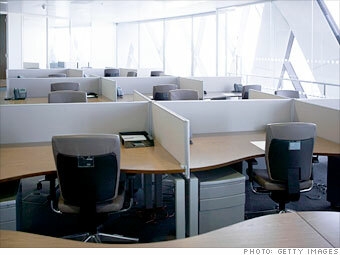 By making all desks available on a first-come, first-served basis. "Even I don't have my own desk," says DeHart. The company saved $60,000 in rent and $40,000 in IT infrastructure costs. Is your partner ready to dump you over your Blackberry habit? Here's how to find a little work/life balance.